For bonuses, ExpertOption earns a high score of 95/100 as their bonuses reach up to 125%. For the software score, we also awarded ExpertOption a high score of 95/100 due to the many trading features found on their trading platform. For Customer support, we awarded the broker a modest score of 65/100 due to the lack of telephone support. Finally for the option choices, ExpertOption only managed to earn a low score of 25/100 due to lack of choice as well as the short expiry times for their binary options. An ultra competitive industry, the binary options trading industry has over the years seen the rise and fall of many brokers in trying to capture a slice of the lucrative market. One cannot deny the fact that when there is a lot of money circulating around in an industry, scams are bound to occur. While binary options scams represent only a small segment of the binary brokers’ population, the action of these few brokers no doubt have a negative impact on how the entire industry is perceived. Because of this perception, new entrants such as ExpertOption to the industry are finding it increasingly difficult to make a name for themselves. Aware of the challenges for newer brokers and to instil confidence and trust among traders, ExpertOption has come up with a trading platform that is guaranteed to offer the best binary trading experience in the industry. Recently established in 2014, ExpertOption is an innovative binary options trading platform, that is owned by ExpertOption Ltd. Their head office is located at Suite 305, Griffith Corporate Centre, Kingstown, St Vincent and the Grenadines. However, the trading platform is managed by a separate Cyprus based management company called Vested LP. Regulated by 2 different regulatory bodies namely the Russian FMRRC organization and the Vanuatu Financial Services Commission (VFSC), ExpertOption offers its clients trading services for binaries in commodities, forex, indices and stocks but with a twist. The broker currently has the only binary options trading platform that comes with an innovative and integrated social trading functionality. One of the first things that any binary trader will notice about ExpertOption is the trading platform. A custom developed platform, the platform differs from conventional binary options trading platforms, not only in terms of its design but also with its capability. The trading platform is easy to use with its well designed navigation interface and soothing colours. In addition, the trading platform comes integrated with a wide array of technical indicators which traders can overlay over their price charts for a better analysis of the markets. Users of the trading platform can also choose how they want their charts to be displayed. There is a choice of choosing a line chart, area, bar chart or a candlestick chart. The time frames of the chart can also be changed according to a shorter time frame or a longer time frame. But what is most striking about ExpertOption’s trading platform is the fact that it has been specifically designed with the idea of social trading in the first place. Understanding that different traders have different preferences with regards to trading platforms, ExpertOption has provided its clients with 3 different versions of its proprietary trading platform; as a Webtrader accessible through any web browser, as a desktop app which requires downloading and installation and as a mobile trading app for smartphones and mobile devices. 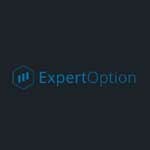 Considering the fact that around 70% of the binary options trading population is made up of mobile traders, ExpertOption has ensured that this group of traders’ trading needs are provided for. As such, ExpertOption has provided them with iOS and Android mobile trading apps, which can be downloaded free of charge from Apple App Store and Google Play Store. Optimized for mobile devices, the mobile trading apps offer full features trading just like its desktop and Webtrader counterpart, at the tip of the trader’s fingertips. The popularity of ExpertOption’s mobile trading apps can be seen from the fact that more than 1 million copies of the app have been downloaded from both Google Play Store and Apple App Store within the last 2 years. Commodities: Through ExpertOption, traders can trade in binaries for commodities such as Brent oil, gold, silver and Platinum. Currencies: Apart from popular currency pairs such as EUR/USD, USD/JPY, EUR/JPY, AUD/USD, GBP/EUR and GBP/USD, ExpertOption also trading in cryptocurrencies such as Litecoin, Bitcoin and Ethereum. Indices: Coverage of the indices market include major stock indices from more than 30 major exchanges around the world. The most popular of these indices include the DAX 30, DOW, S&P500, NASDAQ and the FTSE 100. Stocks: Popular stocks covered by ExpertOption include bluechip companies such as Alibaba, Amazon, Apple, Baidu, Coca cola, Disney, Facebook , Ford, Google, IBM, Lukoil, MacDonalds, Nike and Tata. Altogether, there are more than 100 different types of stocks to choose from. In terms of the payouts for investment, traders at ExpertOption can expect to earn returns as high 95%. As for the options types, ExpertOption currently offer just two basic types of options contracts, short term and long term options. Short term options are basically Call/Put option with 60 seconds expiry time. For long term options, the expiry time is 5 minutes. It is standard practice in the binary options trading industry for brokers to offer a deposit bonus for new traders who sign up with them. The amount of bonuses is usually tied to the type of trading account which the trader is signing up for, the higher the account status, the higher the bonuses awarded. With regards to ExpertOption, the same applies here and the bonus levels ranges from 50%to 125%. ExpertOption offers 4 different types of trading accounts, Mini Account, Silver Account, Gold Account and VIP Account. For potential clients and for the purpose of paper trades, ExpertOption has also provided a free demo account topped up with $10,000 in virtual cash. The functions and features of the demo platform is exactly the same, except for the fact that the trades are conducted with virtual money rather than real money. To help ease the way for its clients to begin trading, ExpertOption has provided them with several methods which they can use to fund their trading accounts. The most popular method of depositing funds is by credit card or debit card. Bank wire transfer is also support for those who do not possess any credit or debit cards. In keeping up with modern payment solutions, ExpertOption also accept deposits done through eWallets such as Neteller, Payweb, PerfectMoney, Qiwi, Skrill, UnionPay, WebMoney and Yandex. Withdrawals at ExpertOption are also done through the above mentioned methods. The typical processing time for a withdrawal request is 3 business days. With ExpertOption, you are permitted to withdraw as little as $10 each time. An FAQ section is also available for reference for traders who want quick answers to their frequently asked questions. A Glossary section is also available for traders to refer to, for an explanation of some of the terminologies used in binary options trading. After a thorough review, we find that ExpertOption has a lot to offer traders. Their trading platform is certainly a pleasure to use with all the advanced trading tools that have been included. For beginner traders, they also have the added benefit of social trading. They no longer have to wait until they are experts in financial trading before commencing their trading career. By capitalizing on the wisdom of the crowd, beginner traders can now shorten their learning curve. Overall, ExpertOption has met our expectations of what an ideal binary broker should be like. Yes, ExpertOption is regulated by Russian FMRRC organization and the Vanuatu Financial Services Commission. Yes, ExpertOption is a reliable broker with more than 3 years of operational history. Yes. Bonuses are available at ExpertOption. The amount of bonuses awarded depend on the type of trading account and range from 50% to 125%. The typical time required to process a withdrawal request at ExpertOption is 3 business days. What is the minimum deposit required to open a live trading account? The minimum deposit requirement at ExpertOption is $50. Withdrawals at ExpertOption can be done through credit cards, bank wire transfer or eWallets.